Many of Singapore’s millennials are sleep-deprived for numerous reasons, some related to work either on-the-job or in school. Surely, it’s not easy to say that there is a clear answer to being more productive and working efficiently. 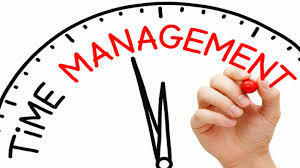 But, learning to manage our time effectively can maybe help ease out on the stacking papers. You’ll be surprised at how many things you get done in the morning if you get out of bed early. You’ll be able to think more clearly about your objectives for the day, you can get some exercise in to get yourself energized, and you can even get to work and start early. Determine the things you have to do and finish for the day. Having a list can help make it clear to yourself that you’d want to finish these tasks as efficiently as possible. 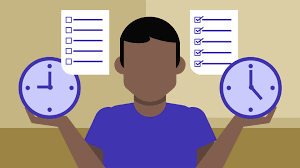 You’ll also be able to determine which things to prioritize and things you can simply do for later. 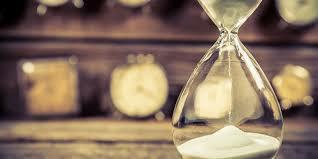 Establish a time limit in which to finish a task. By doing so, you challenge yourself to fully commit to finishing that task while not getting distracted. This can help you focus and complete the task successfully and possibly faster. Prioritize the bigger, or more important tasks before anything else. You don’t want to start with the smaller and easier ones and be too tired to finish the major tasks later on. And because you’ve finished, you will find yourself relieved of a heavy burden. Some may think that this is counterintuitive to time management. “How can taking a break even help us save time?” But having our brain work non-stop doesn’t really help us in the long run. Giving our mind a time to rest can help keep it fresh and alert. Many would think that they’re good at multitasking, but this is actually a delusion. When we do multiple things at once, we’re making ourselves more prone to making mistakes. We’ll then waste more time trying to fix our mistakes rather than spending the time to make progress. There will be times when you’re not doing anything relatively important, like if you get stuck in line or when you’re just sitting on your commute. In these times, try to read books or listen to their audio versions. This isn’t multitasking, though, because you’re only doing one thing. Sometimes, the temptation to go out with your friends can far outweigh your intentions of finishing a project. But instead of accepting invitations directly, developing the habit of saying no to unnecessary things can help you use your time more efficiently.